Live coding has been defined as a new path in the evolution of the musical score. Live coding practice accentuates the score, and whilst it is the perfect vehicle for the performance of algorithmic music, it also transforms the compositional process itself into a live event. As a continuation of 20th Century artistic developments of the musical score, live coding systems often embrace graphical elements and language syntaxes foreign to standard programming languages. 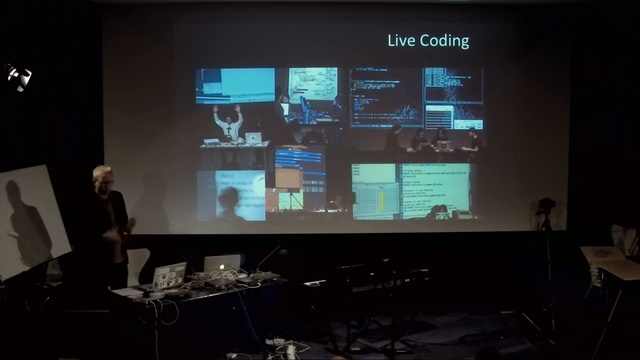 This talk will presents live coding as a highly technologized artistic practice, shedding light on how non-linearity, play and generativity are prominent in live coding performance practice.